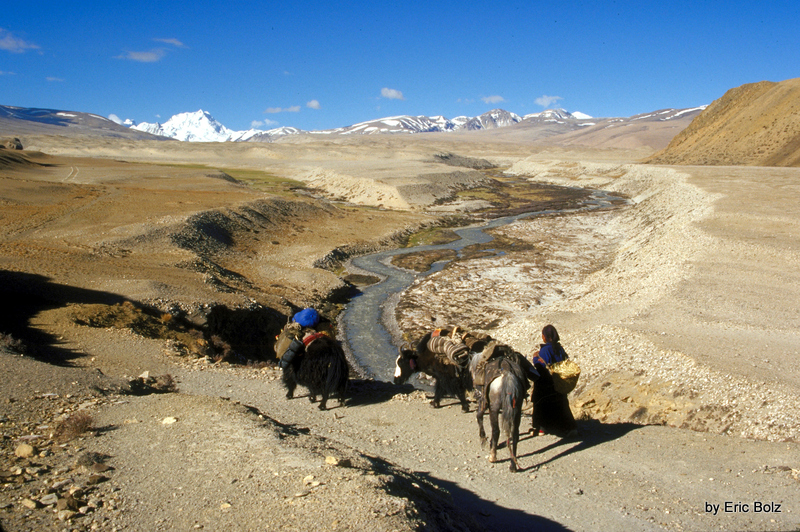 tibet3 -- Tibet. Day 2: On the way to Everest Base Camp. In this picture I am looking back where I had just walked. Earlier that day I had met some Nomads who were traveling in the same direction as myself. They offered to put my pack on their Yak and offered to let me ride their horse. I let them carry my pack but I did not ride the horse.